Found Gotsubo while reading the blog of a foodie who had featured this tiny hole-in-the-wall stall for their CHEAP and FRESH oysters. Mind you, its really CHEAP…you’ll be amazed that it only cost ¥105 (less than S$1.50) for 1 of those plump and succulent shellfish, from Akkeshi Town in Hokkaido. The catch? We read that they only have very limited supply and it was recommended that we arrive within the 1st hour of their opening which is at 6pm, else it would be sold out. Since we were hanging out at Susukino area since afternoon to look at the ice sculptures on display in conjunction with the Sapporo Snow Festival, we made our way to queue at 5.40pm. When we arrived, there were 3 pairs of people ahead of us and they were queuing in the lobby area to the side of the stall to hide from the cold weather. 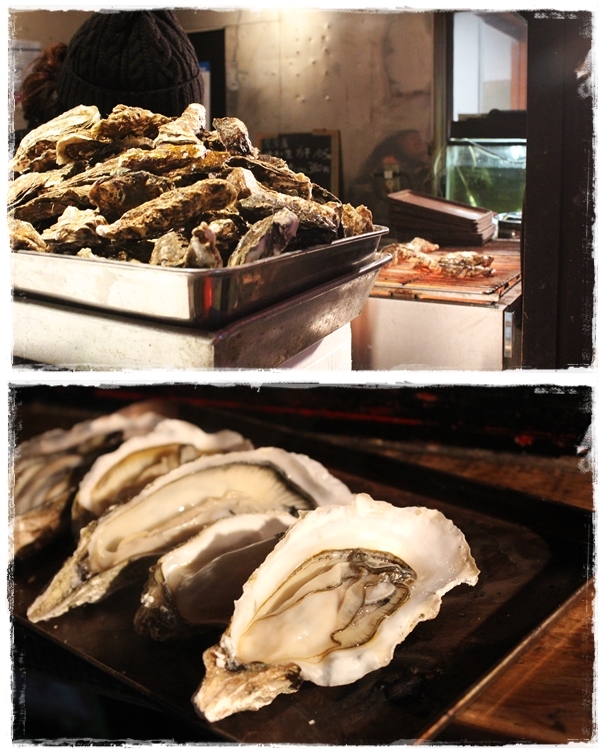 As for the rest of us, we were happy to be able to secure some of the oysters and savour them on the sidewalk. Unfortunately there were no scallops or surf clams available on the day of our visit. Being 4th in the queue meant we finished our oysters within 30 mins of their opening and were ready to go off for the 2nd round of dinner! It was well-worth our time queuing up for this superb value-for-money gem! 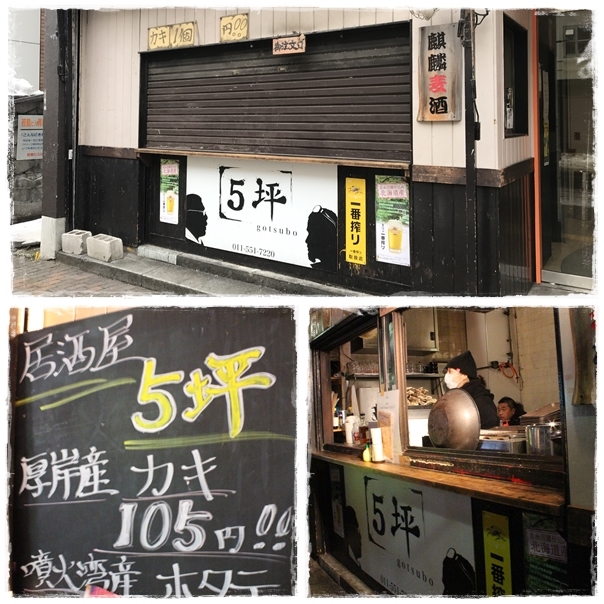 This entry was posted in Casual, Japan, Seafood and tagged Gotsubo, Oysters, Sapporo, Susukino, 五坪. Bookmark the permalink.